We thought we’d try to help you with this one. 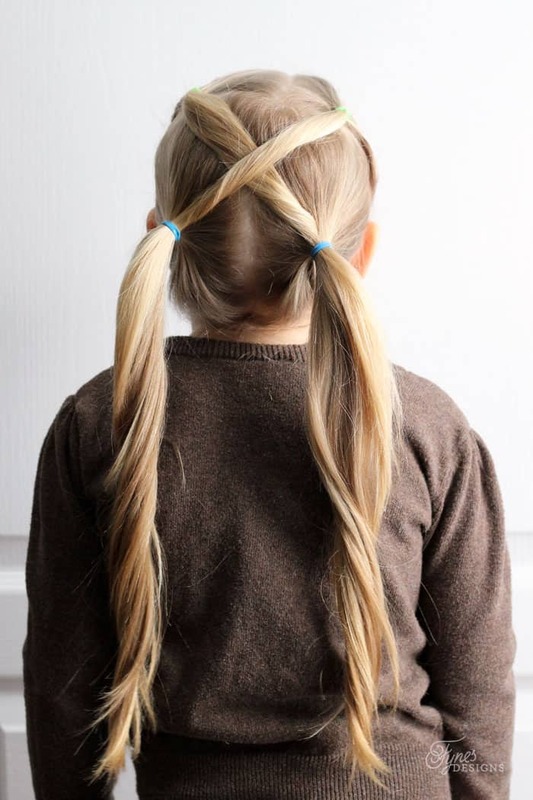 Here are ten quick and easy hairstyles you can do for your little princess which take no time at all. 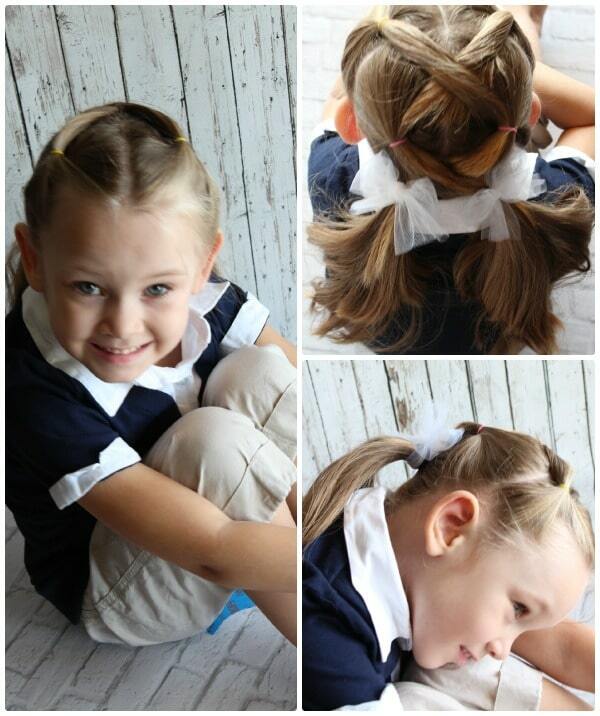 This is a really cute hairstyle for a little princess. Gather up the hair into a ponytail near the top of the head and wrap a hair tie around the it one time. Now twist the hair tie around the ponytail again. Be sure to keep the hair tight. Now wrap one more time, but do not pull the hair all the way through the hair tie — instead leave a loop. Your child should now have a super tight bun on top of their head with the extra hair sticking out the front. Now separate the bun in half and grab three bobby pins. Spread the bun completely in half and smooth everything out with your hands so it looks even. Now pull the excess hair up and through the middle of the bun. It goes right through the bun separating the hair and creating the "bow". Now use one of your bobby pins to secure the hair in the back of the head.